“Hot Jupiters” are Jupiter-like planets with orbits close to their host star. Their origins are debated, and some young planetary system may even host multiple Hot Jupiters. Here, we investigate a planetary system of two Hot Jupiters orbiting a Sun-like star. 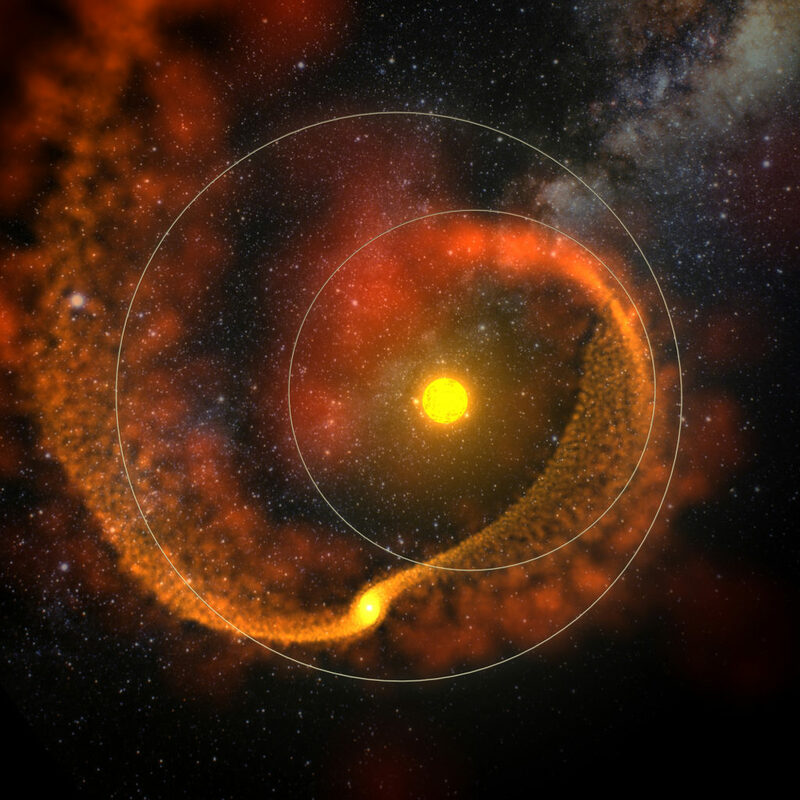 The system is born on the edge of instability, and over time, the planets’ mutual gravitational perturbations increase their orbital eccentricities, leading to a dramatic collision that expels much of the planets’ gaseous envelopes across the system. This image won the People’s Choice Award and an Honorable Mention in the 2015 Northwestern Scientific Image Contest! Credit: Image created by A. M. Geller. Simulation performed by J. Hwang, with F. Rasio advising.